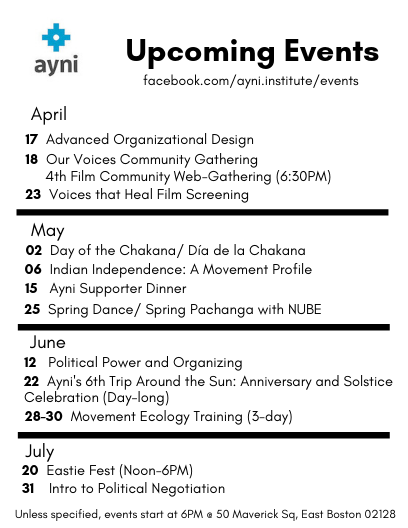 Last month at Ayni we fully embraced the spirit of the Spring, emerging out of our winter cocoons to host six events, including the launch of the Sacred Seasons calendar and the Global Reciprocity Course. Keep reading to see what we’ve been up to and how you can join us! 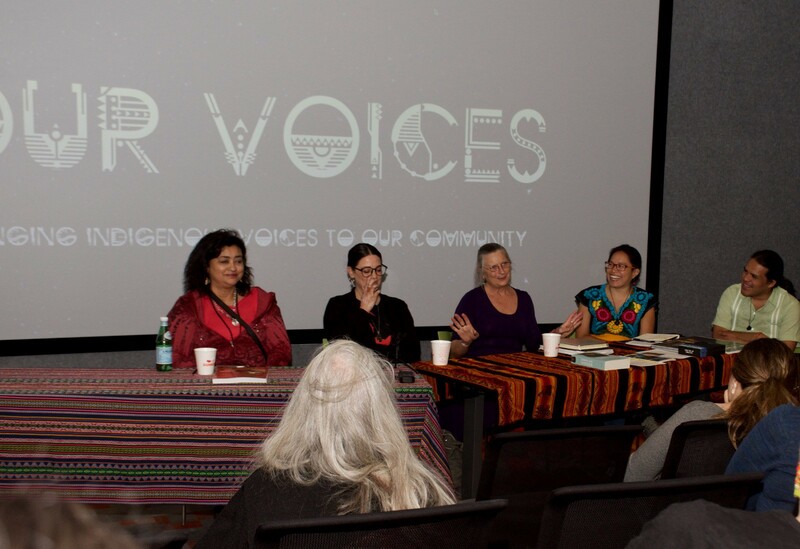 On April 6th, we hosted the first ever Day of Learning with Indigenous Authors, Educators, and Artists at Lesley University in Cambridge, MA. We are deeply grateful to the 150+ people who came out to support our native elders here in New England and our indigenous brothers and sisters in the Americas and beyond. You can read more about the Day of Learning and see pictures from the event here! 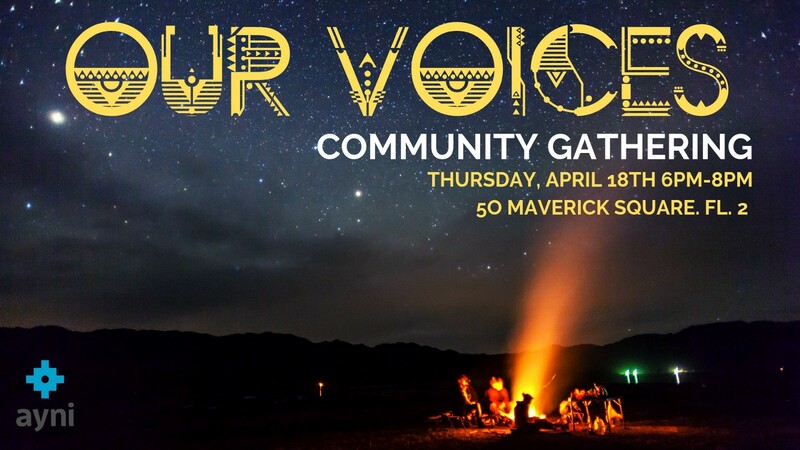 We are sending deep love and appreciation to the native presenters and elders who made this event possible by sharing their stories, wisdom, and experiences: Kenny Aluk, Hana Bernadette, Bruzzy Hendricks, Oscar Montero, Suzanne Rancourt, Rachel Sayet, Deborah Spears Moorehead, and Julian Visxkwe. 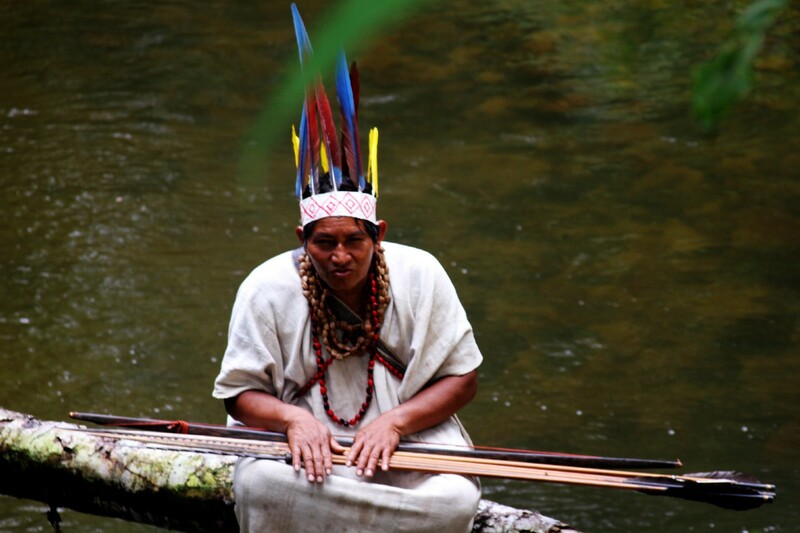 We also want to honor our indigenous elders in Latin America who continue to guide and support us in moving forward a vision of reciprocity: Alejandrina Calancha Monge, Alberto Manqueriapa, Zadir Milla, and Jose Huaman Turpo. 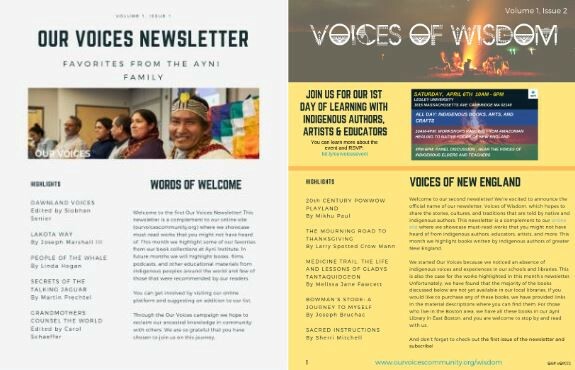 Leading up to the Day of Learning, we launched the Voices of Wisdom newsletter highlighting indigenous educational materials. The newsletter is organized around different themes each month: February was “Favorites from the Ayni Family” and March was “Voices of New England.” You can subscribe to the newsletter here. 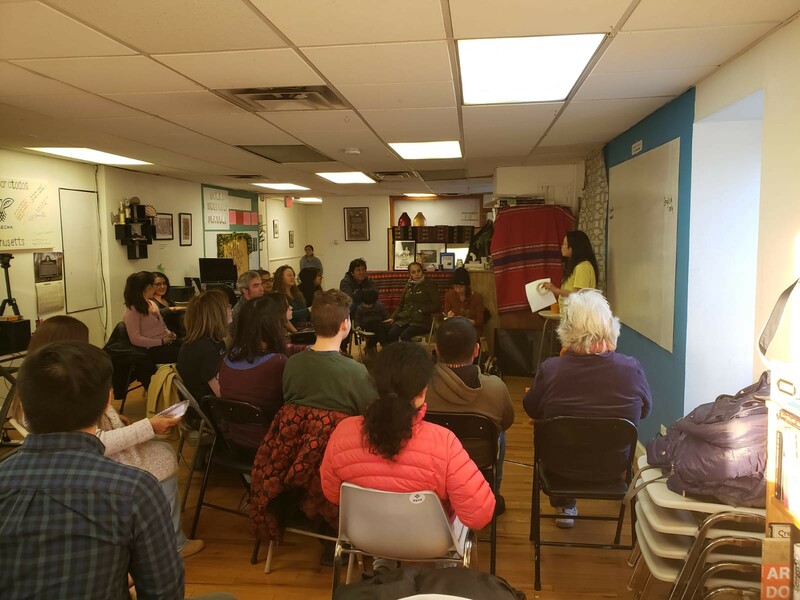 Energized by the newest addition to the Ayni family, Movement Program Coordinator Leena Mathews, the Movement Program hosted two events for social justice activists and movement leaders. 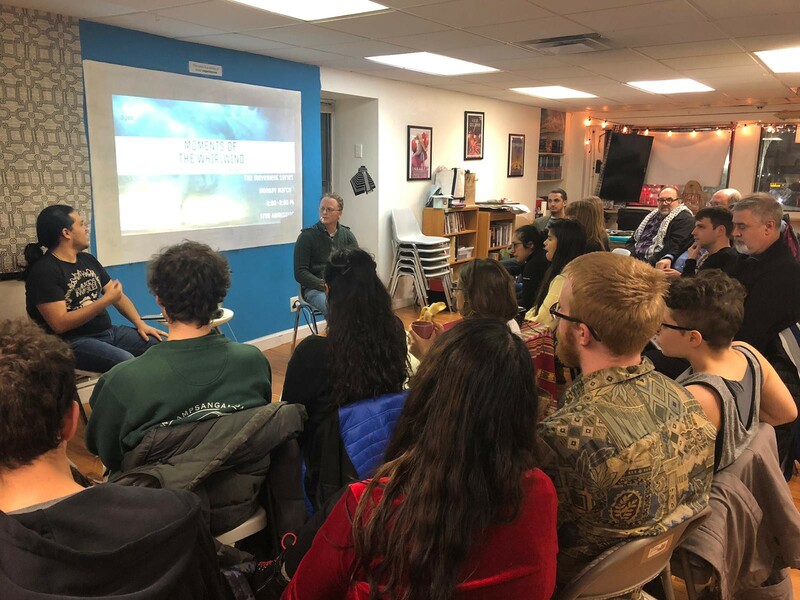 We kicked off the month with “Intro to Social Movement Moments,” where over 20 people braved the snow to join Carlos Saavedra and guest presenter Paul Engler to talk about channeling people power to move our movements forward. The following week, Carlos shared about different seasons and styles of leadership during the “Leadership & Craft” session. If you missed the sessions but want to learn more, you can find all the videos here. And be on the lookout for video clips we’ll be releasing in the upcoming weeks! 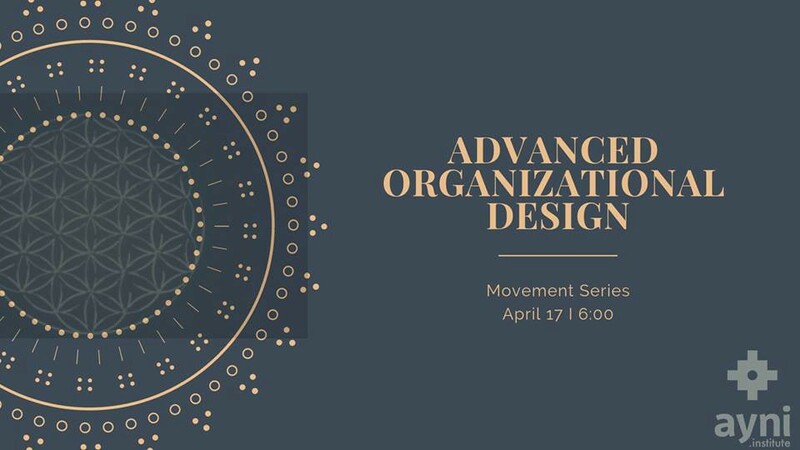 Deepen your knowledge about social movements during our upcoming events: Advanced Organizational Design on Wednesday April 17th. For the past three years we have been collaborating with our elders Jose Huaman Turpo and Alejandrina Calancha Monge to visibilize the stories of indigenous communities of Latin America as told from the communities’ perspectives. This month we hosted a screening of Jose & Alejandrina’s most recent film “Voices that Heal” at Lesley University and led a discussion about memory and memory keeping. 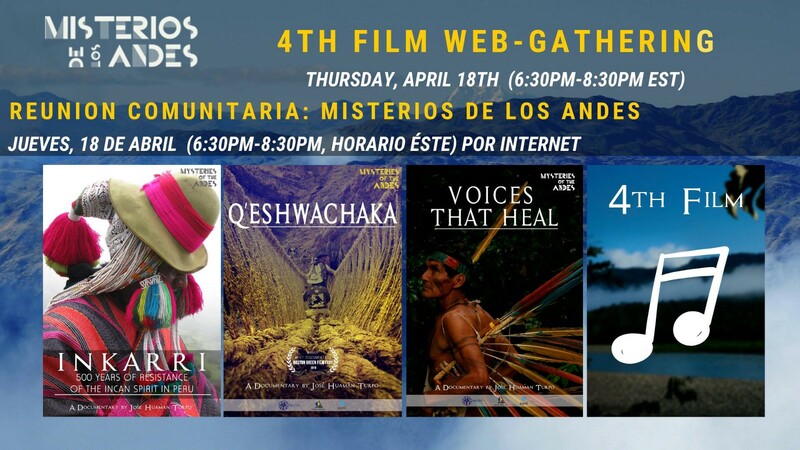 We also kick-started a campaign to support Jose & Alejandrina as they embark on their most ambitious project, the fourth film in the series of The Mysteries of the Andes. This time, we are zooming out beyond individual communities to weave the cultural threads that exists through the Andean peaks, the Amazonian Rainforest, and the Atacama desert. 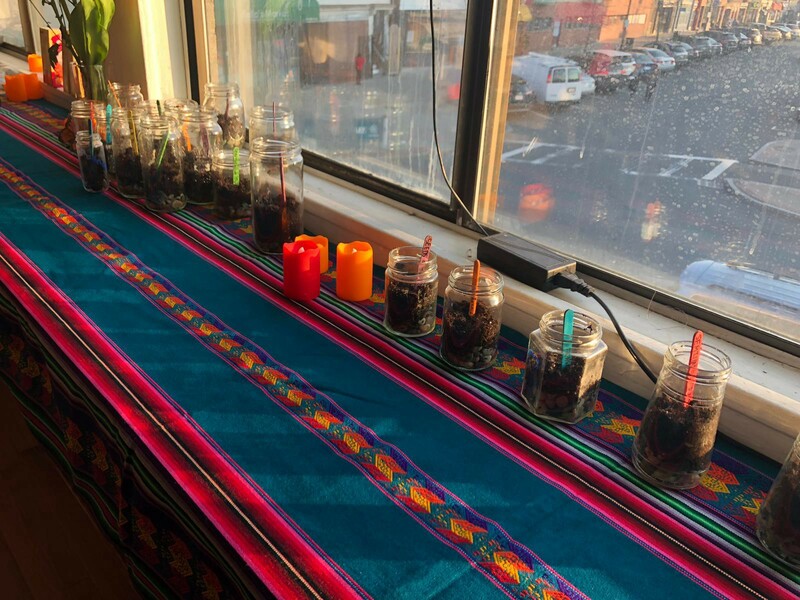 Our elders will take us through five countries, Argentina, Bolivia, Chile, Ecuador and Peru, as we try to document and share the relationships that exist between music, healing, instruments, and ceremony. 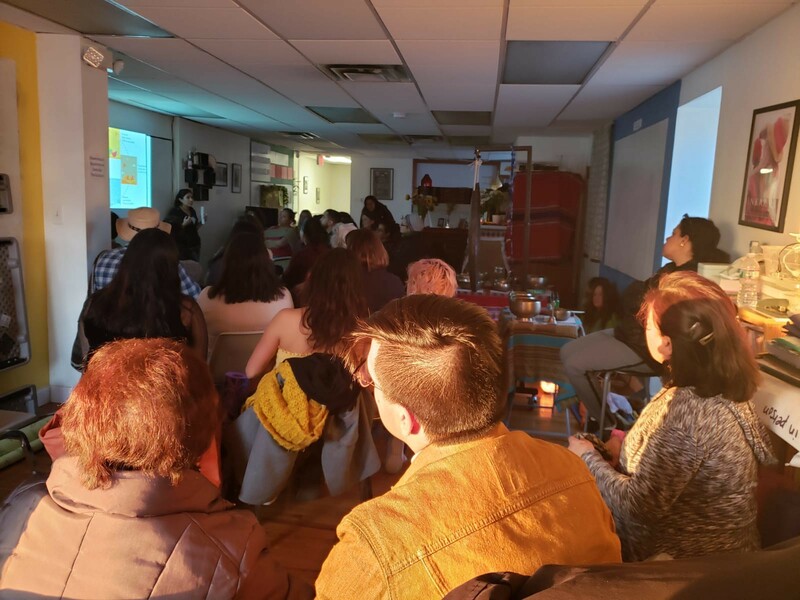 During our first mass meeting to support Jose & Alejandrina, more than 20 people came out to brainstorm ideas for fundraising, ranging from film screenings to sound healing sessions. Our next meeting is Thursday, April 18th, where new people can learn more and come up with even more ideas. Will you join us? And for those who can’t make it on Thursday, let us know you’re interested by filling out this form! 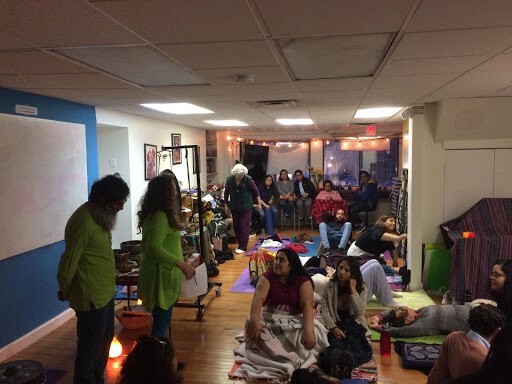 This month we hosted our very first event of the Sacred Seasons calendar — actually two events, because we were so excited that we made it into a two-day affair! We started off with an Intro to Seasonal Transitions, where we explored our personal seasons and the transition from Winter to Spring. We also worked together to explore the ways in which Spring can support us, no matter what season we happen to be in. On the second day of our celebration, we embarked on a sound journey to celebrate the Spring Equinox led by Ayni family members Susan & Kamal. At the end of the night, everyone took a jar with seeds home, so that they can continue to nurture their seeds throughout this cycle. 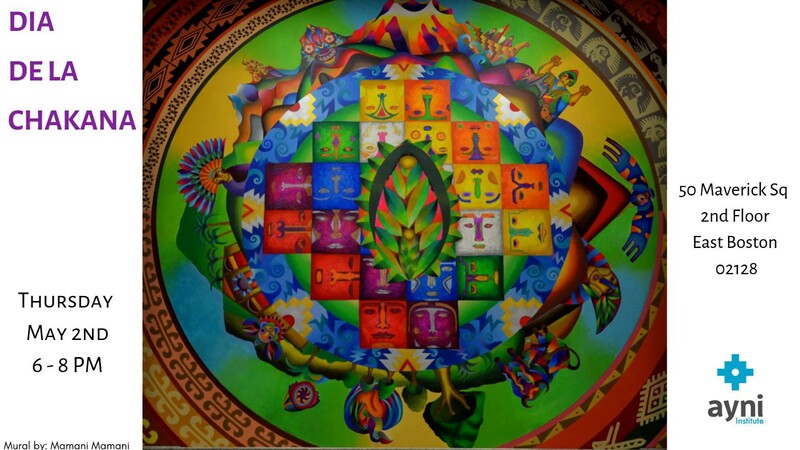 The next event celebrating the sacred seasons is the Day of the Chakana (or Southern Cross) on May 2nd. Will you celebrate with us? Check out all of our upcoming events. We hope to see you soon!